I have waited a long time to write about my friend Nish, because until now, the words weren't there... a mixed bag of emotions swirled around, but my brain was not ready to complete the sentences. Tonight, I met with a few high-school friends. 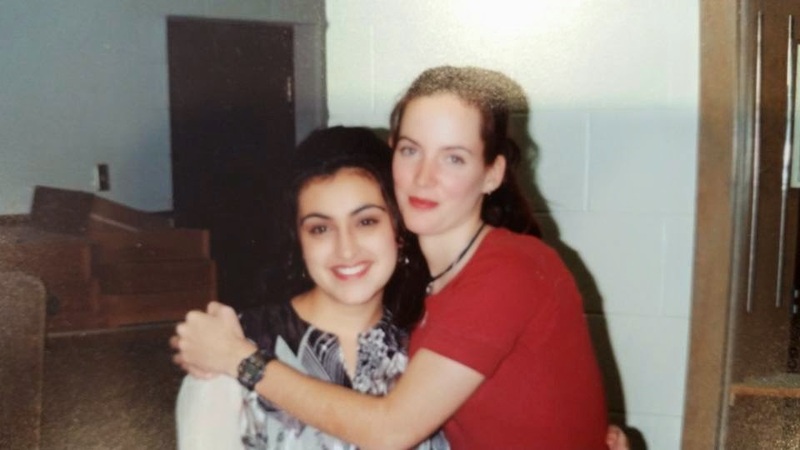 We're nearing 20 years since high-school (really??) and while I suppose we all secretly dread our reunion years, I have been looking forward to reconnecting. We chatted, we wined (whined) and we dined. We enjoyed catching up. We're all Moms now and even if we weren't, that is ok too. How do we bring her up? How do we remember her? Our hearts are all still bleeding for our too early in life lost friend. I get choked up even thinking about a Mommy who dies of Leukemia. Or cancer. A MOM. How does a family go on without a Mom? Then, I think selfish thoughts and wonder how I missed out on HER all these years. I wish she hadn't gone off to University a year before me. I wish we hadn't lost track of each other. By the time I was able to enjoy her again, it was too close to being over. I don't pretend to know how her family feels. I only know how I feel. She was the best soul you could ever know. She was beautiful inside and out, every minute of every day. I will remember our epic bike rides together, where we'd spend our Saturday enroute a bike trail we had planned all week. We explored our city and we picnicked along route, until the day when my bike was stolen and we could not complete our plan. We never finished what we started. I don't even know where to start. I am pretty sure your mom was the world to you. I can't even begin to imagine how much you all miss her. However, I want to express that I am saddened to not have been there for her funeral. I completely understand the timeliness of the burial, based on religious standards, but I somehow feel that I was slighted in saying goodbye. Does that make me horrible for wanting that? I know that Nish will live forever in my heart, and while I will continue to honour her strength, tenacity and most importantly, the love for the world around her she embraced, I will miss her. LOTS. Speak to me my friend. We have many words left unsaid.